All vehicle shipments are covered by the following terms and conditions. Possible exceptions will be considered and decided by MVDA&T. For all drive-away vehicles, MVDA&T will do everything possible to move the vehicle at the price given in the time frame requested. However, MVDA&T cannot guarantee pickup and delivery times. MVDA&T will not be responsible or liable for loss of any kind if a vehicle is not delivered in the time frame requested; these times are estimates only. 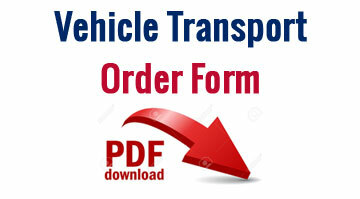 If the shipper or receiver of the vehicle will not be available at time of pickup and/or delivery, MVDA&T must be notified as soon as possible. NO EXPRESS OR IMPLIED WARRANTIES ARE MADE WITH RESPECT TO DELIVERY TIMES OR DATES. Shipper warrants that it is the registered owner of the vehicle, or that the customer has been authorized by the owner to transport the vehicle. MVDA&T will not guarantee any specific driver for a shipment. The company may, at it’s sole discretion subcontract it’s obligations here-under. In preparing the vehicle, there should be no more than 1/4 tank of fuel. If there is, that’s okay. Repair any chips and/or cracks in your windows and make sure your vehicle is prepared for changing weather conditions. All loose parts such as antennas, spoilers, fog lights, damaged convertible tops, or any other parts must be removed or secured. MVDA&T will not be liable for damage to the shipped vehicle or any other vehicle because of these items. Additionally, all alarm systems must be turned off. 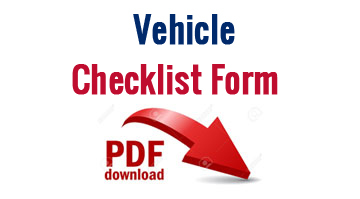 If the vehicle is inoperable, MVDA&T must be notified before the shipment is agreed upon. All vehicles must brake, roll, and steer. If damage occurs during transport, notify our office immediately. Any damage must be noted in the Bill of Lading when recipient inspects the car upon arrival. The vehicle must be inspected thoroughly. Any claims related to such noted damage must be submitted in writing to MVDA&T or it’s subcontractor within 2 days of delivery, or, in case of failure of delivery, within 2 days of the date that vehicle was scheduled to be delivered. Signing without noting any damages states that the vehicle arrived in good condition and MVDA&T is relieved from liability. MVDA&T shall not be liable directly, in subrogation, or by assignment to Customer’s insurance company for any claims paid by the Company. IN NO EVENT SHALL MVDA&T BE LIABLE FOR ANY INCIDENTAL, INDIRECT OR CONSEQUENTIAL DAMAGES. In shipping a vehicle, MVDA&T assumes that it is the only transporter working on that vehicle move. When MVDA&T is informed to move a vehicle, other companies working on the move must be told to cancel the shipment. If the driver is unable to complete door to door delivery because of legal, street, traffic, or any other restrictions, the customer must make arrangements to pick up the vehicle in a nearby location. At delivery, if a customer or it’s authorized agent is not present for any reason, the vehicle(s) will be placed in storage, at customer’s expense. Damage caused by natural occurrences such as hail, snow, floods, earthquakes, etc. IF THERE IS NO ACCESS TO PUBLIC TRANSPORTATION AT PICK UP OR DELIVERY POINTS CUSTOMER WILL BE CHARGED FOR CAB, UBER, SHUTTLE, OR OTHER SERVICE FOR DRIVER TO GET TO PUBLIC TRANSPORTATION.